Product designer and interior architect Gert-Jan Soepenberg launches Vase #2, the second product in an architecture inspired series of vases. 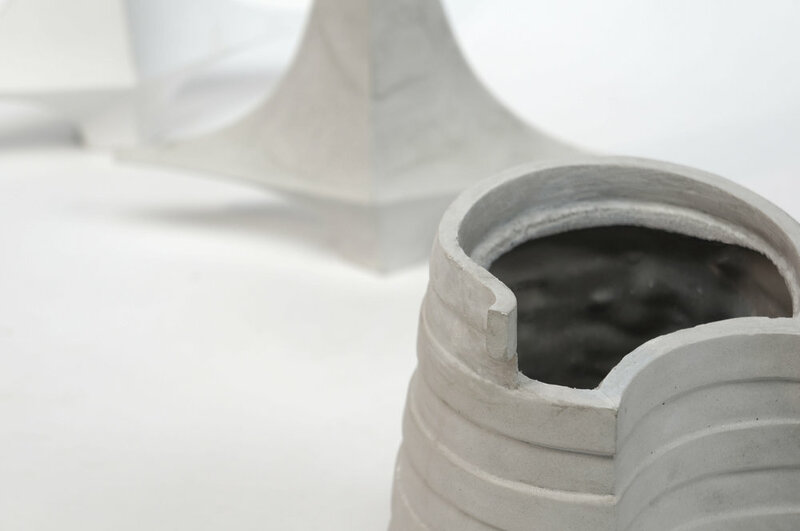 This second concrete vase is a tribute to the design and form of Frank Lloyd Wright’s Guggenheim Museum. The launch takes place during the Salone del Mobile at Ventura Lambrate in Milan (Italy). Because of his love for architecture and his own architectural background Soepenberg was inspired to develop a series of vases based on the work of the architects he admires. Soepenberg earlier presented Vase #1, a concrete vase in which he abstracted a shape from architect Oscar Niemeyer's Palácio da Alvorada. For Vase #2 Gert-Jan Soepenberg used the interior of the Frank Lloyd Wright designed Guggenheim Museum in New York, in which he gives special attention to the inner spiral of the museum. What in reality is the interior of the building has in this vase been turned into the exterior. Soepenberg produces his vases in a self-built rotational moulding machine. For this he utilises an industrial process as is normally only seen in the production of plastics. Gert-Jan Soepenberg chose this technique to allow for the hollow forms of the vases to be as thin as possible. The inside of the vases is coated with acrylic resin, which renders them watertight. The production process can be viewed live from 14 – 19 April 2015 during the Salone del Mobile at Ventura Lambrate. The Salone del Mobile, or Milan Design Week, is an annual design trade fair taking place every April in de Italian city of Milan. It is the biggest show worldwide for interior design, including furniture, products and accessories. Gert-Jan Soepenberg (1984) graduated from Academie Minerva as a product designer and interior architect. 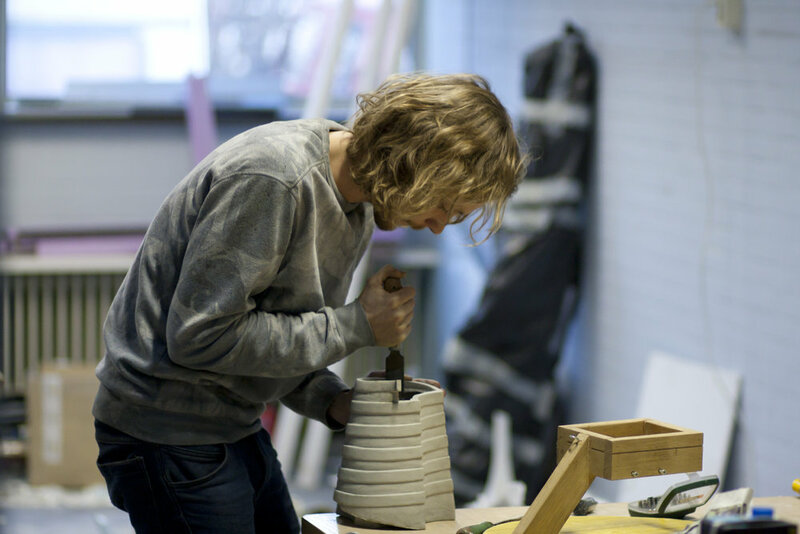 From his atelier in Groningen he designs products with an eye for detail and quality. His products are made from simple, natural or recycled materials. 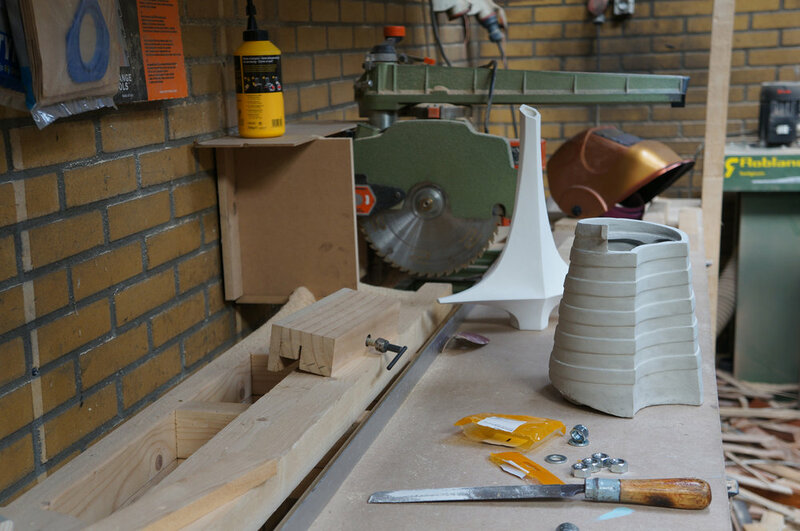 Earlier he developed Chair #1 (inspired on Gerrit Rietveld's forms), Stool #1, Sink #1 and Vase #1.